LOW MILES! 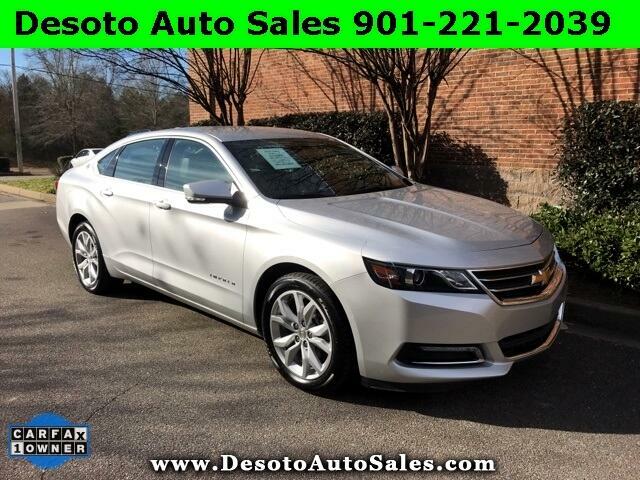 2018 Chevrolet Impala LT 1LT with ONLY 20K MILES! Odometer is 9628 miles below market average! CLEAN CARFAX, ONE-OWNER. This vehicle offers a sharp looking color combination of Silver Ice Metallic paint with Jet Black Leather/Cloth Seats. Automatic transmission, Power locks, Cruise, 18"Alloys, Remote Start/Push Button, Backup Camera, Bluetooth Compatible, AM/FM/XM, Front dual zone A/C, Power door mirrors, Power driver seat, Power windows, Rear window defroster, Remote keyless entry, Steering wheel audio controls and more. Powerful 3.6L V6 engine. This vehicle has been checked out by our service department and has passed inspection. Drive this 2018 Impala with No Concern for any possible future repairs. It has remaining Bumper to Bumper Warranty to 36K miles, which can be extended up to 120K miles for only a few dollars more per month.